Medium Grey Laminated Vancouver FD30 Fire Door. Medium Grey Laminated Vancouver FD30 Fire Door. 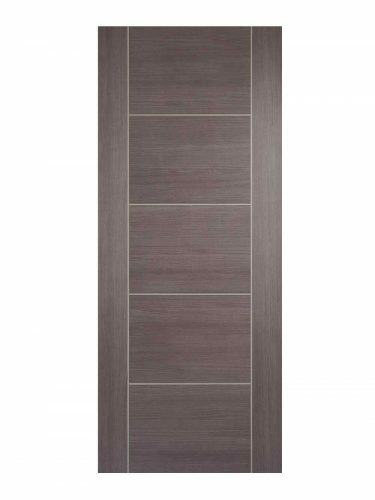 The Vancouver 5-Panel door features a ladder-style centre panel configuration. Easy clean modern finish for extra durability and easy maintenance. Contemporary and attractive pre-finished light Grey colour.